Use our resources to download and print a map of Cape Verde, learn about renewable energy, and imagine how to modernize the concept of an electrical grid. We’ve got you covered on this one! How many possible renewable energy sources do you see in this pretty picture of a Cape Verde coastline? According to the Quartz article, Cape Verde is on track to obtain all its electrical energy from renewable sources by 2025. How does Cape Verde get its electrical energy now? Petroleum fuels generators that supply almost all electricity on Cape Verde’s 10 islands. Some residents rely on firewood and charcoal (itself a type of biomass energy) for cooking. What renewable energy sources have potential to supply Cape Verde? (Spoiler: A lot!) Take a look through our short reference resource on renewable energy for some ideas. solar. Although Cape Verde’s climate is milder than its mainland Sahel sister, it is still a part of tropical Africa and has enormous potential for solar photovoltaic (PV) electricity. wind. Cape Verde is an island nation, and its northeasterly trade winds are considered excellent for wind power production. Three Cape Verdean islands already produce 25% of their power from wind farms. hydroelectricity. Experts suggest freshwater could be stored in high-elevation reservoirs and pumped downstream through turbines to generate electricity. geothermal. Cape Verde is a volcanic archipelago, which makes it an excellent candidate for harvesting geothermal energy. tides and waves. 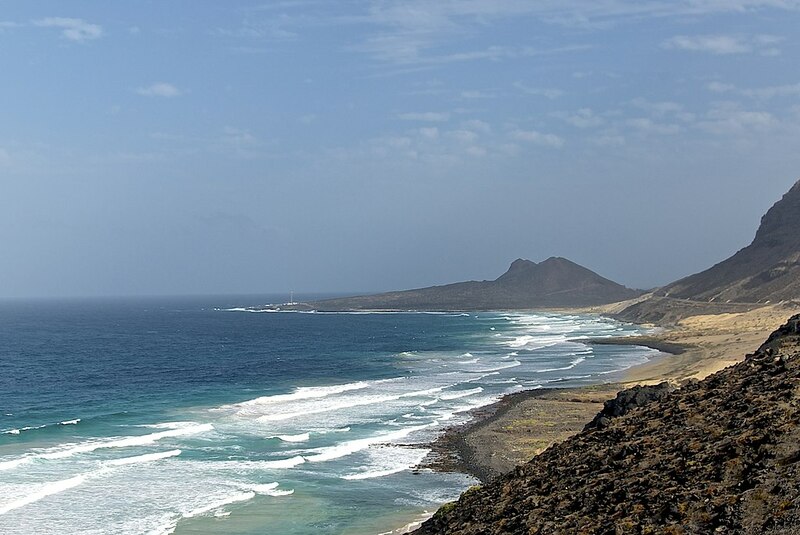 Cape Verde’s islands experience regular tides, and onshore and offshore turbines could harvest energy as waters surge in and out of bays and coves. ocean thermal energy conversion. This process, which generates power by using the difference in temperature between the ocean’s deep (cold) and surface (warm) water, is most useful in equatorial latitudes like Cape Verde. In addition to harvesting renewable energies, Cape Verde is also “rethinking the grid.” What is the grid? What is grid modernization? Use our activity for some help. The electrical grid describes the complex network of cables or other devices through which electricity is delivered to consumers. Grid modernization describes improving an electricity grid system by using digital technologies to monitor and control electricity flow, coordinate between electricity producers and users, maximize efficiency and reliability, and minimize cost. What grid modernization feature is Cape Verde considering? microgrids. “A microgrid is a local electricity grid. It includes electricity generation, distribution to customers, and, in some cases, energy storage. Microgrids are also often connected to the main electricity grid but can disconnect and operate independently, for example, when a storm damages the main grid.” Learn more about microgrids here. Nat Geo: What is renewable energy? Nice article and i really like to appreciate the way you have explained about the renewable energy this article. Very much inspired by reading this article. Thanks a lot for sharing such great article. Previous Previous post: Did the First Americans Take a Ride on the Kelp Highway?